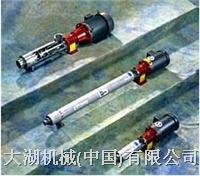 Series pumps offers dependable performance and long life. And with over 200 standard models, there is an AS Series pump to fit almost any 50 Hz or 60 Hz application. and harshest environments. Ideal for membrane system applications, AS Series pumps also excel in industrial boost applications such as water soluble machine coolants, sanitizing systems and higher temperature water recirculation.